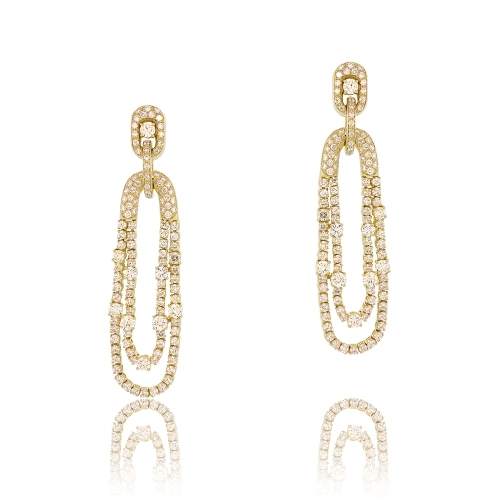 Delicate strands of 18k yellow gold set with brilliant round diamonds in this elegant dangle earring. Diamonds approx.8.06.ct. Earrings 2.75"